Switched-On Schoolhouse Complete 4-Subject Sets covers core homeschool subjects History and Geography, Language Arts, Math, & Science. Save time on lesson planning and grading while providing your children with outstanding academic instruction! Switched-On Schoolhouse from Alpha Omega Publishers provides homeschoolers with an engaging and flexible core curriculum that's presented in an interactive, media-rich learning environment. This 4-subject set covers History & Geography, Language Arts, Math, and Science for one school year. Lessons feature videos, animated clips, interactive timelines, and learning games along with quizzes and tests. Teacher resources include automated lesson planning and grading, customizable record-keeping options, and many flexible curriculum options. History & Geography: U.S. Communities, including mountains, rivers, fields, plants, animals, and people in each U.S. region. Print capabilities for schoolwork done away from the computer-just enter their answers into SOS once you're at home! Switched-On Schoolhouse is provided on a USB stick. Please note that only English language versions of Microsoft Windows 7, 8.1, and 10 are supported. 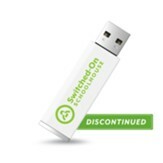 Switched-On Schoolhouse is NOT supported on Windows RT, XP, Vista, or Windows 8. Internet Explorer is the only supported browser for SOS. Science: General Science I, including earth science, human anatomy, the atmosphere, weather, and climate. Language Arts: Speaking and Writing Skills, including punctuation, literature, word usage, reading skills, listening, and spelling. Math: Pre-Algebra, including the real number system, integers, rational numbers, equations, graphs, functions, proportions, geometry, probability, angles, and more. Science: General Science II, including matter, nutrition, energy, machines, and science using technology. Language Arts: English I, which covers language structure, literature language, comprehensive reading, communication, and a study of a novel. Math: Algebra I, including variables, integers, equations, factors, radical expressions, and more. Science: Integrated Physics & Chemistry, which includes lessons on matter and changes in matter, motion and forces, energy and energy transfers, waves, electricity, and magnetism. History & Geography: World History, covering ancient Egypt and Greece, the medieval world, world empires, revolutions and war. Language Arts: English II, which covers writing effective sentences, developing reading skills, and language structure. Math: Geometry, which covers logic, angles, parallels, shapes, volume, area, and more. Science: Biology, including taxonomy, microbiology, cells, human anatomy, and genetics. History & Geography: American History, including the American Republic, the Civil and Revolutionary Wars, the Industrial Revolution, the World Wars, and more. Language Arts: English III, which covers poetry, nonfiction, American drama, the American novel, and developing research skills. Math: Algebra II, including functions, linear equations, algebraic fractions, quadratic relations, exponential functions, and more. Science: Chemistry, which covers elements, mixtures, compounds, atomic structure, chemical reactions, carbon chemistry, and more. History & Geography: Government and Economics, including international governments, the history of government, the Christian and government, and finance. Language Arts: English IV, which covers Medieval Literature, language structure, Elizabethan Literature, Romantic Poetry, and creative writing. Math: Pre-Calculus, including functions, graphs, identities, trigonometric functions, polar coordinates, and quadratic equations. Science: Physics, which covers advanced scientific topics like dynamics, energy, waves, light, electricity, and more.